Hession Energy provide SEAI Commercial BER Ratings In Galway, Limerick, Dublin and Ireland Nationwide. What Is A Commercial BER Rating? Commercial BER Ratings are measured on a scale from A to G with an A1 being the most efficient rating and G being the lowest rating. Who Needs A Commercial BER Rating? How Much Does A Commercial BER Rating Cost? The cost is dependent on the size and complexity of the property. Our priority is to ensure that we deliver a high quality service at the most competitive prices so contact us today for a quote! Firstly it is important to ensure that you provide the Assessor with as much information as possible about your building. This will enable them to make accurate entries about the building rather than relying on default values, which will adversely affect the overall rating. 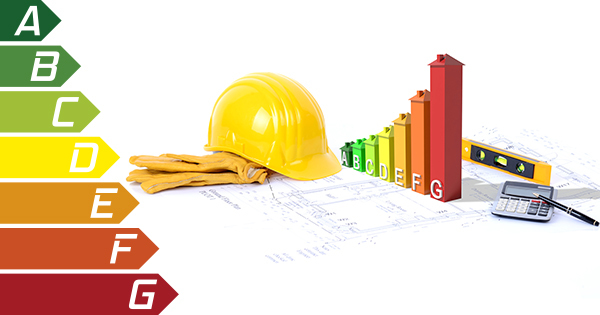 Upgrading of building fabric, heating / cooling, lighting systems and associated controls can also have a huge impact on the rating. Talk to one of our experts to see how we can help.